The Chinese air force launched an exercise of their own concurrent to the enormous air drills being run by the US and South Korea, causing experts to speculate what, exactly, Beijing is trying to communicate to the West. 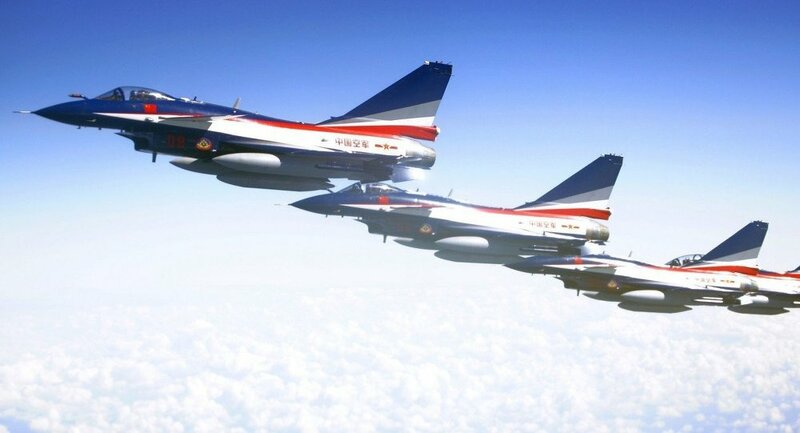 On Monday, the People's Liberation Army Air Force (PLAAF) flew exercises in "routes and areas it has never flown before" over both the Yellow Sea that divides China and the Korean Peninsula as well as the East China Sea between China, South Korea, Japan, and Taiwan. These waters comprise China's "air defense identification zone," where China has flown numerous military exercises since 2011 — often during moments of tension with Japan and South Korea, as the zone includes waters claimed by either nation. The exercises were of significant size: they included fighter jets, reconnaissance planes, early warning aircraft and surface-to-air missile batteries along the coast. PLAAF spokesman Shen Jinke said that such exercises will be a regular occurrence in the future. Their purpose, Shen said, is to "'improve combat-readiness and safeguard the country's strategic interests." 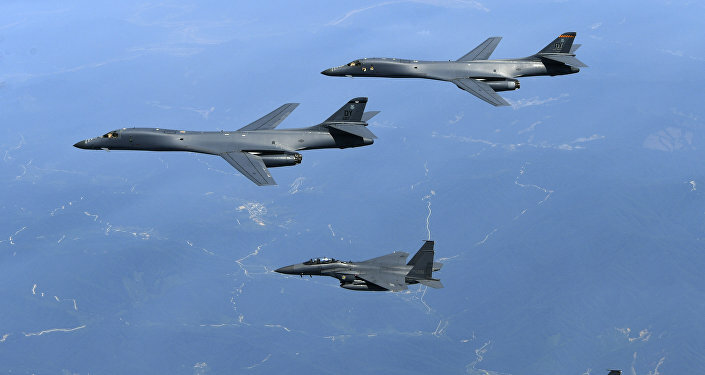 But this time the drill coincided with a massive 230-aircraft joint exercise being held between South Korea and the US nearby on the Korean peninsula. 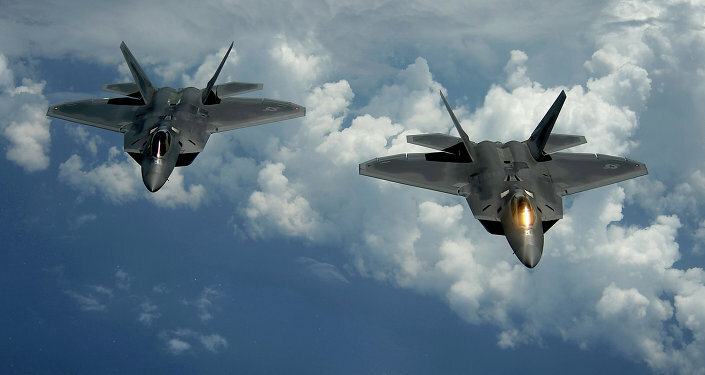 That exercise, which involved F-22 and F-35 stealth fighters, 12,000 US soldiers, and even B-1B strategic bombers that could be equipped with a nuclear bomb, has been decried by North Korea as "begging for nuclear war." Li Jie, a Beijing-based military expert, described the exercises as an implicit message from the Chinese leadership to the US. "The timing of this high-profile announcement by the [People's Liberation Army] is also a warning to Washington and Seoul not to provoke Pyongyang any further," Li told the South China Morning Post. China has condemned North Korean nuclear tests and gradually distanced themselves from their once-close ally, even backing UN sanctions against the fellow socialist country in September following a test of their nuclear program. But while Beijing is openly opposed to the North Korean nuclear program, they are certainly not in favor of the US invading North Korea, putting an end to the Kim government, and either reunifying North Korea with the US-friendly South or installing a US-friendly regime in North Korea. The sheer size of the US-South Korea exercise, as well as the continuous American military buildup in the peninsula since the spring, may be taken by Beijing as indication that the US plans to do exactly that. As recently as August the Chinese leadership reaffirmed its commitment to the half-century-old defensive alliance — making clear that it was only a defensive alliance and that they would not necessarily back Kim should he go on the attack first. During the Korean War that began in 1950 and is still technically ongoing, China came to the aid of the communist Northern Korean factions against the US and their Southern allies, repaying the fledgling North's contribution to their own civil war, which the Chinese Communist Party had only won the previous year with Korean communist help. Beijing running an air drill of their own in complement to the high-profile US/South Korea drill could well be taken as their expression of willingness to do so again.